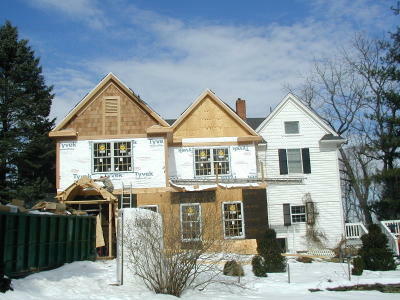 Sometimes, a client will approach us with a desire to fix or modify previous work completed on their home. This Gaithersburg, Maryland home was an example. 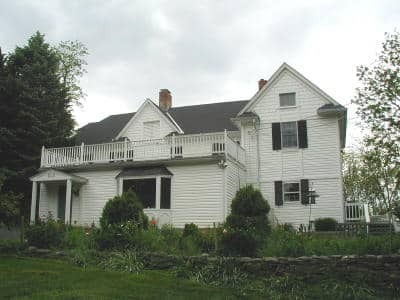 The addition and renovations that had been done on the home was not in harmony with the 1800’s character of the home and the client desired a remedy. A design / build second floor addition and extensive interior renovations to the circa 1800 home in the historic preservation district began. Work included removal of previous historically incorrect additions and modifications that had been added to the home and working with the historic district commissions for approval of new addition and exterior renovations to accurate details. The project goal was to remove incorrect work and expand the home using architecturally correct details and design in keeping with the vintage of the home.